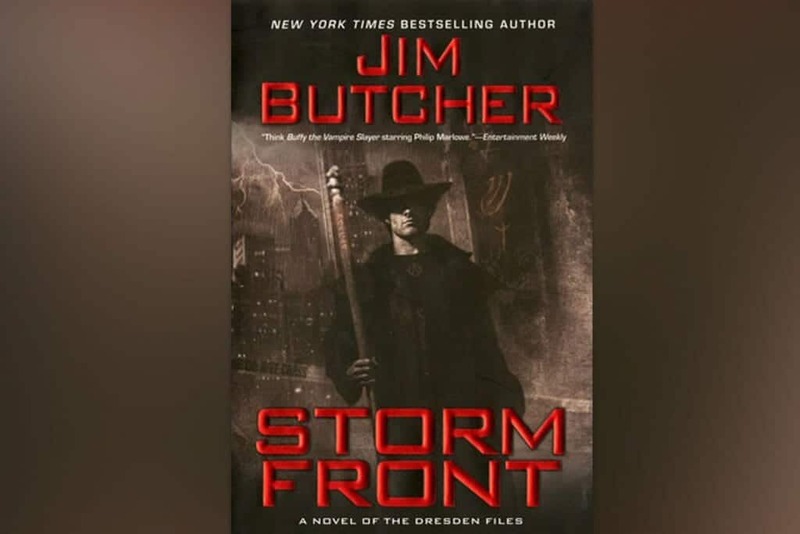 Storm Front is a 2000 fantasy novel by American writer Jim Butcher. In the first novel in the #1 New York Times bestselling Dresden Files series, Harry Dresden’s investigation of a grisly double murder pulls him into the darkest depths of magical Chicago…. Take your standard noir detective with a sarcastic frame of mind and a weakness for helping damsels in distress, add in wizardry, vampires, werewolves, talking skulls, pizza loving fairies and all things paranormal and this is what you get. A quirky, fast paced and thrilling ride through a Chicago you never thought possible. Trying only to pay the rent, when the police are stumped on a case Harry helps out, while also trying to find a missing husband. Things soon get complicated when it becomes obvious there’s black magic afoot – and the council of wizards suspect Harry. Already under the Doom of Damocles, a form of wizardly probation for past transgressions, Harry has to risk execution to discover who the Shadowman is – and why he’s killing people. This is a superb debut – and only the first of many. Great characters, a mystery that twists and turns like a corkscrew and above all, Harry, a wizard with a world weary sense of humour, who takes life on the chin.